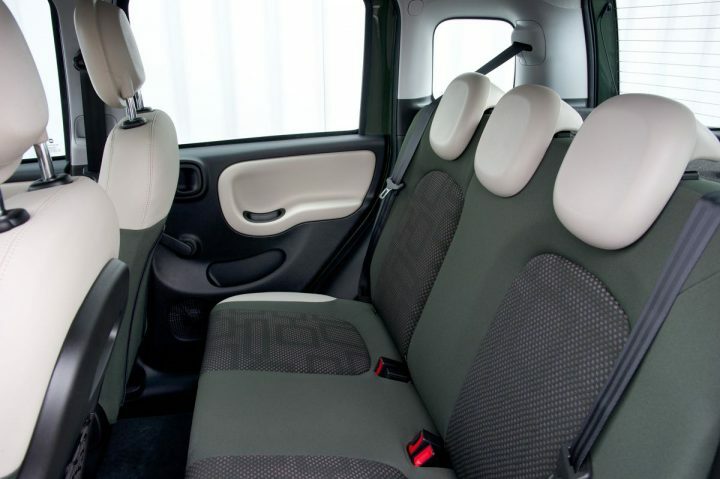 Italian singers are often short in stature but big in heart and voice, just like the Fiat Panda 4×4. The cheeky all-wheel-drive car is part of a compact 12-model range sharing a 5-door body. It provides a choice of 900cc or 1.2 litre petrol engines along with a 1.3 diesel, in five trim levels and even offers a semi-automatic for the easiest of lives either in town or country, and with front or four wheel drive. We tested the 4×4 with the 95ps diesel engine and a 5sp manual gearbox. 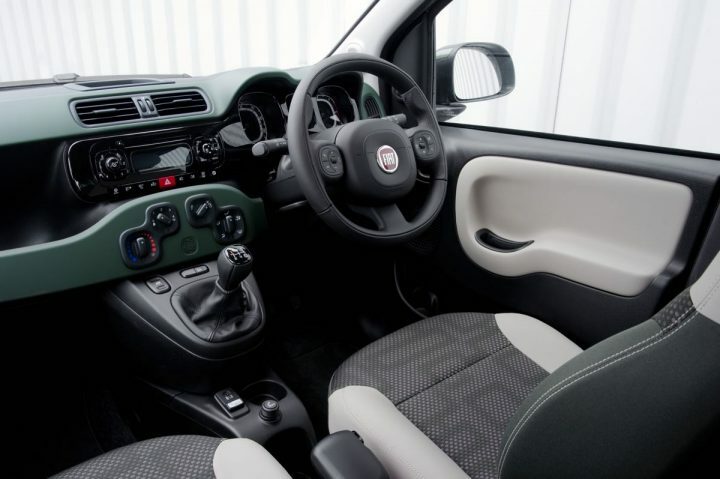 The Panda has a pedigree going back over three generations to 1980 and it’s gradually grown from three to five doors and today includes the useful all-wheel-drive transmission, ideal for those Italian mountain winter roads or British flash winters. You just never know when you need 4×4 but ultimately you’ll be glad you have it. There are few small 4×4 models on UK sale and perhaps not surprisingly they are in demand, putting comparatively inexpensive winter cars in everyone’s hands, and proving you don’t have to live with big and thirsty off-roaders all year round to keep going when others cannot over a few days or weeks. 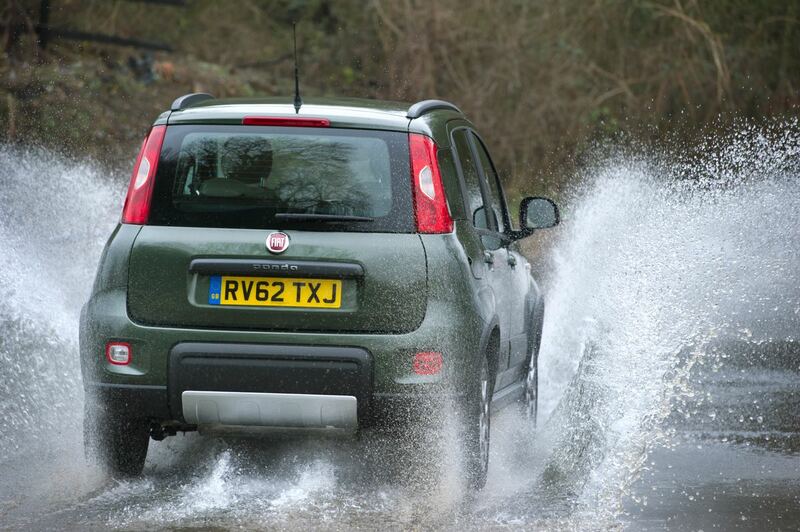 The Fiat Panda 4×4 may lack sheer horsepower but it effectively uses what it has and it requires no thought from the driver to keep going when roads deteriorate. The engine is smooth, a little throbbing at times, but it also proves flexible and economical as our overall consumption figure indicates. Matched to the five-speed manual gearbox it’s lively if lacking in outright power and it sounds busy at higher revs in the intermediate ratios but is more composed when cruising. A sixth gear would make a difference. The light clutch and gearchange are delightful to use, the brakes are up to their job but I don’t think the City Brake Control should be a £285 extra. The parking brake hand-grip is not particularly good and the power steering lacks ultimate feel although the turning circle is good and it’s reasonably weighted with power assistance. The secondary controls are not a minefield as in some modern cars so you rarely make a mistake and the simple instruments are another delight. They may be basic but they are clear and there’re a few warning lights to backup essential checks. Similarly, the heating and ventilation is straightforward, works well and comfortably fills the little cabin, with powered front windows as well, but there is no sunroof available. 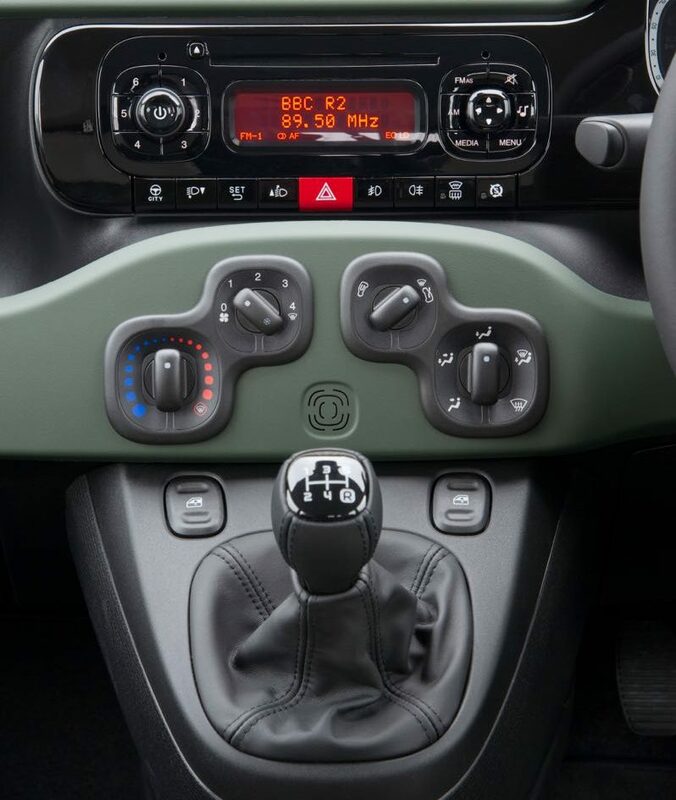 The optional automatic climate control was fitted along with some other extras including the offset split back seat instead of a single one, passenger seat folding table, parking sensors and winter-pack, and total options’ cost was £2,150 on top of the £16,550 OTR price. Oddments space is surprisingly good for a small car and the bootspace is capable of taking a few shopping bags or a medium sized case before it has to be extended as the rear seats fold flat. 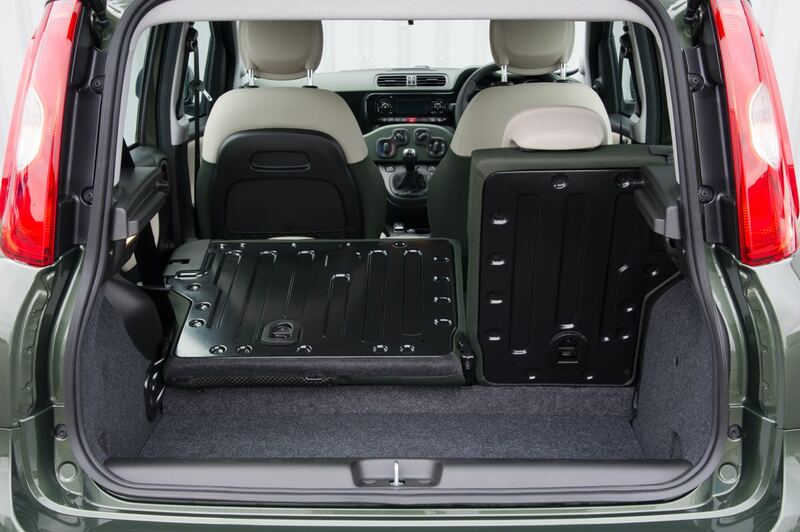 Access is good, even if the back passenger doors are small, and the fifth door opens high with a fairly low lip over which to lift items. Getting into the front was much easier. All seats are on the short side for leg support but the front pair have good location for the occupants’ backs and their adjustment is adequate unless you’re very tall. The seats are not particularly thick so what the suspension cannot absorb on a poor surface the seats also struggle to smooth out. The short wheelbase of 2.3M does give a choppy ride at times. The payback to that is, however, good maneuverability either when parking in a tight space or easing through twisting lanes or tracks. Roadholding is good. You can hear the suspension doing its job and road noise is ever present but the engine note only intrudes at higher revs and other mechanical and wind sounds are low. 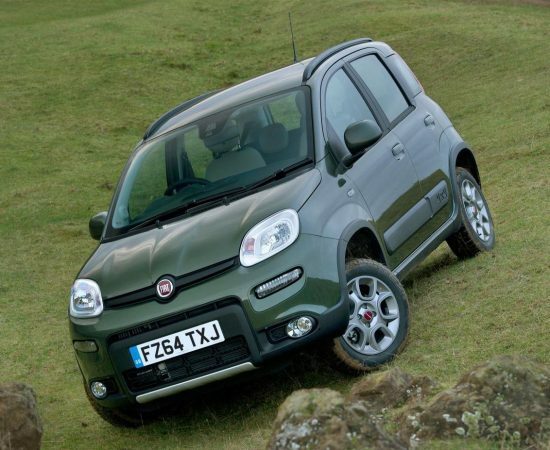 Once you appreciate the Panda 4×4 limits it’s a car you can make a song and dance about. Against: Boot and rear seat room compact, acceleration modest, engine and road noise intruded.